In what some might ascribe to a holy week miracle, the interior of Notre Dame was miraculously saved last night by the more than 400 firefighters worker to suppress a devastating fire that destroyed the roof of the 850-year-old cathedral, as well as its iconic spire. In a speech delivered shortly before midnight, French President Emmanuel Macron implored the French people to join a national fundraising campaign to repair the damage, and at least one of the country’s wealthiest men has already obliged. 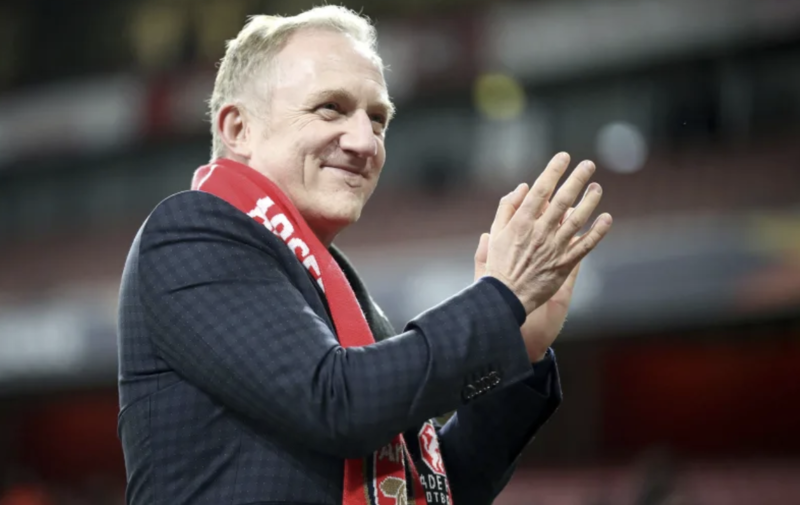 French billionaire François-Henri Pinault said Monday night that he and his family would donate €100 million ($113 million) to the rebuilding effort. Pinault, who is chairman of Kerring group, the luxury goods powerhouse behind Gucci, Balenciaga and Yves Saint Laurent, said the money would come from his family’s investment firm, Artemis. Church officials and the government of France have for years sought private funds to help pay for costly renovations at the cathedral. It was in the middle of a $12.5 million renovation financed by the French state when the fire, reportedly caused by an ‘accident’ in the cathedral’s attic, first broke out. Not to be outdone, another French luxury-goods billionaire, businessman Bernard Arnault, and his family, who control the LVMH luxury goods group, said they would donate €200 million euros ($226 million) to help repair the cathedral, according to Reuters. “The Arnault family and the LVMH group would like to show their solidarity at a time of national tragedy, and are joining up to help rebuild this extraordinary cathedral, which is a symbol of France, of its heritage and of French unity,” said the statement. Between the two, a combined $340 million has already been pledged to rebuild the cathedral. Meanwhile, French construction company Vinci has proposed that the country’s builders band together to complete the renovations.